Have you ever wondered what happens in that unusual building with the tent-like roof at the Inner Harbor? Science happens! The Institute of Marine and Environmental Technology (IMET) opens its doors for a free Open House on Saturday, May 4, 1-4 p.m. 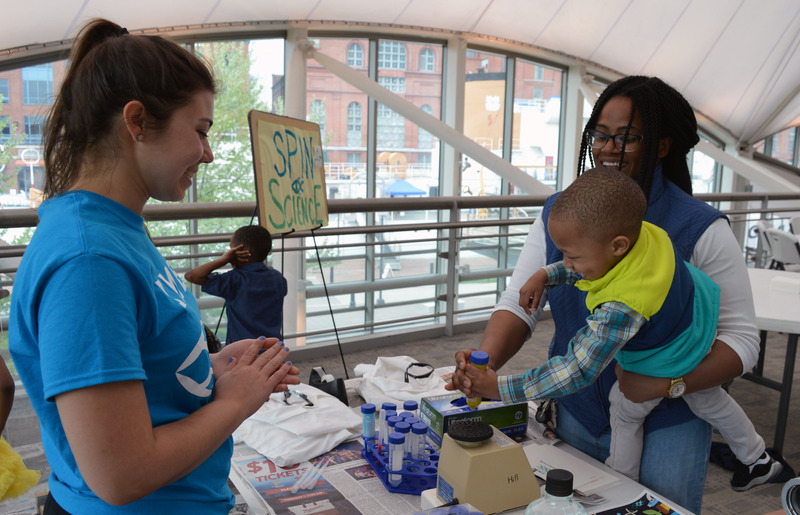 Enjoy hands-on science activities for kids all ages, meet our scientists, and discover important marine research happening at the harbor’s edge. Find out how "nature's nightlight" works....microscopic organisms that glow in the dark! Peer into microscopes to see what’s living in the harbor. You might be surprised! Tour the Rachel Carson research vessel and see how science happens on the water! Meet your science superhero…marine biologists making new discoveries every day. Talk with our graduate students about what it’s like to be a scientist, and much more! Scientists at the Institute of Marine and Environmental Technology (IMET) are engaged in cutting-edge research in microbiology, molecular biology, and biotechnology. They are using marine organisms like sponges to develop drugs for cancer, devising ways to make alternative fuel out of algae found in the Chesapeake, and working on understanding how crabs and fish grow so we have abundant sources of food. Located at Baltimore's Inner Harbor, the Institute of Marine and Environmental Technology (IMET) is a joint University System of Maryland institute that conducts research to help protect and restore coastal marine systems and their watersheds and improve human health. The University of Maryland Center for Environmental Science (UMCES), the University of Maryland Baltimore, and the University of Maryland Baltimore County are partner universities. Thanks to our sponsor VWR and our media sponsor WYPR!